And who told its abt his lady who promise not to liv. Beta listen to d song. Mr poster. There is nobody without adversaries. It is the way of the world. The key thing is to pray for family, friends and enemies and leave the rest to God. That’s exactly what Rudeboy has done in this emotional song. Deep, spiritual and serves as encouragement in everyday battles of life. Rudeboy is a singer! Who is this poster? Did you listen to song? 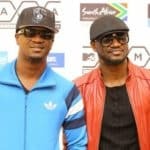 I’m thinking Psquare will come back together soon. Both camps are feeling the guilt of the separation. There is nobody without adversaries. It is the way of the world. What is key is to pray and wish everybody well – family, friends and enemies. This is exactly what Rudeboy has done in this emotional song. It is deep, spiritual and serves as source of power to wake up every morning facing the battles of life and all obstacles in the way. Ruddy you are damn good! I am impressed. This song is obviously to no girl but to his brother Peter . I am surprised at the write up. Completely a rookie stuff. What A Song.. Rudeboy Made My Eye Lids Wet..
Soooooòoooo dope, love this jam ? can’t stop listening to it…..
? King Rudy you’re the man, any time any day. all hail the boss of good sound ??%? I think he’s talking about his brother’s wife here. I would like an Igbo person to tell us the meaning of Chizoba. That’s what he says he’s telling the person/people. some of we no b naija. :):D:pI love this song,Rude boy God will do it for you.I wish Mr P will understand. 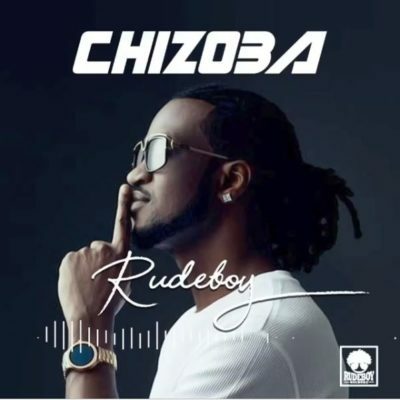 oh rudeboy u are my best keep it up,I pray that your brother Mr p will keep his pride away and behave well after listening to this beautiful song. Wow what a great song to listen to…. Now am looking upto GOD.? Baba bless my family. May your reason for this song be achieved pretty soon Amen. My only question is why of all name this Paul chooses to answer “RUDEBOY”? 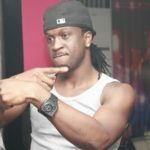 Nothing sounds better than psquare…take a step more … There is need for ?? You have no problem king Rude. I don’t know what is long with Mr p. You are trying your best. 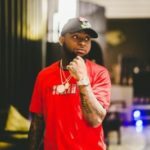 Both of you are singers And 1 no be 2.
already,rudeboy is a talented man for singing back and front.but mr p he did’nt care about their separation. what’s the need getting all the likes and positive comments here if u don’t have a peace of mind?? because is very obvious here that u are already guilty of your acts. Sorry is a very powerful word bro! MR P.... THIS IS A CLEAR SIGN THAT KING RUDY KNOWS WHAT IT MEANS TO BE BROTHERS... #TEARS#... GET BACK AND LOVE YOUR BLOOD... LONG LIV3 KING RUDY. MR P…. THIS IS A CLEAR SIGN THAT KING RUDY KNOWS WHAT IT MEANS TO BE BROTHERS… #TEARS#… GET BACK AND LOVE YOUR BLOOD… LONG LIV3 KING RUDY. Rude boy u are destined to be a really big time muscian as ur future keep it up nice one my role model. Back to Back Hitz. Rudeboy issa Legend. Oh my God,wat a dope song,I. I’m inspired. 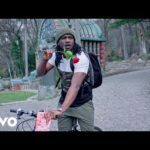 Psquare we want u back. it is a nice job wel done. blood is sticker than water. I love the song it’s very touching. I love the song it is very touching. Continue praying ? to God everything is going to be ok in Jesus’s name. Job wel done my brother. Rudeboy is just too much. I am proud of you brother. Rudeboy u are d best. my Dear. this song will bring u and ur brother back. in Jesus. if ur Enemies like it or Not. bcus Peter is ur Blood brother. thank God u people has comeback together,congrats. Nice jam, i strongly believe that things will definitely work out well for both Paul and peter. Its just the matter of time. 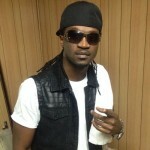 I love p-square forever? 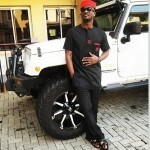 For me,my only fear of their reconciliation is that Rudeboy has stated categorically that P.SQUARE would never be back together because so many secrets about them has been revealed to the public domain…that there is no way they can continue together again…that he sings "CHIZOBA" for God to give him the strength to carry on after the seperation with his brother.He said and i quote "you pray to God for the strength to carry on if you lose a loved one"